STUART, FLORIDA – Florida-based web-hosting company GlowHost has announced a roll-out of powerful graphic design tool DesignPro as an additional free feature of all hosting plans. The upgrade is available immediately to all new and existing GlowHost customers. The move comes as part of a newly-formed partnership with DigitalOcto. 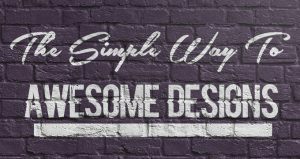 Its intuitive, user-friendly design allows users to simply ad quickly add professional-grade custom graphics to any web page and includes 1500 unique design templates. GlowHost customers will now be able to create more engaging graphics to compliment all of their marketing content. “We see this new tool as being a tremendous asset for enhancing email, blog content, social media posts, ad content, and much more,” Lundstrom said. Better still, using the DesignPro’s DigitalOcto platform requires no special skills. According to Lundstrom, even users who have never worked with other graphic design tools (like Photoshop) will find this platform easy to navigate and implement. “Our clients are always interested in being able to reach more new customers and we are constantly thinking of ways we can help them do just that,” Lundstrom said. Those interested in learning more about GlowHost are invited and encouraged to visit the company website at https://glowhost.com. More information on the roll of of DesignPro DigitalOcto can be found at https://glowhost.com/social-media-templates. For more detailed information or to speak with a GlowHost representative directly, interested parties are encouraged to call the company’s 24/7/365 support line directly at 888-293-HOST (4678). Founded in 2002, GlowHost is an award-winning web host that provides highly reliable web hosting services at a fraction of the cost of other high-end managed service providers. GlowHost currently supplies tens of thousands of customers worldwide with dedicated servers located in 16 global datacenters and offers CDN services across 77 global POPs. GlowHost is committed to customer satisfaction offering a 91-day money back guarantee, 100% network uptime SLA and 20 minute support response/resolution. GlowHost is an accredited member of the BBB with an A+ rating, consistently receiving the highest awards from 3rd party web hosting sites. GlowHost hosting accounts come with more than 300 popular web apps, like WordPress, Joomla and Drupal which can be installed with just a few mouse-clicks. GlowHost offers managed hosting via dedicated servers and cloud clusters and can easily build reliable, custom infrastructure based on their client’s needs, utilizing hundreds of years of combined employee technical expertise. For more information about GlowHost, please visit www.GlowHost.com. Philadelphia, Pa – 1&1 Internet, Inc., a global leader among Web hosting providers, today launched a remarkable new offer for creating a personal website for only $0.99 for 1 year. 1&1 MyWebsite Lite is a high quality solution for many website purposes. The main features include more than 200 customizable website designs, optimization for mobile devices and tablets, and seamless integration of social media. Website Tools – DALLAS, TX – ZipServers, Inc., provider of Managed Dedicated Servers, VPS solutions and the OnePlan Shared Hosting announced today it launched the new version of Parallels Website Builder. The browser-based website creation and editing application enables small to medium sized businesses the opportunity to create and publish professional websites at zero cost to their hosting plan. “We are extremely excited about this software integration”, says Charles Nix Vice President of Sales for ZipServers.com. “It’s providing a simple and cost effective solution for those customers who are in the process of establishing a web presence”. The Parallels Website Builder provides users with over 500 quality templates and an easy to use five-step wizard. In addition, the new modules intergrated into version 4.5 make Website Builder even more powerful and flexible. The modules included are: Blog, Image Gallery, Guestbook, eShop, SitePal, Forum, Feedback, Registration, RSS Reader, Voting, Script, Area Map, File Download, SiteMap, External Page, and Flash Intro.